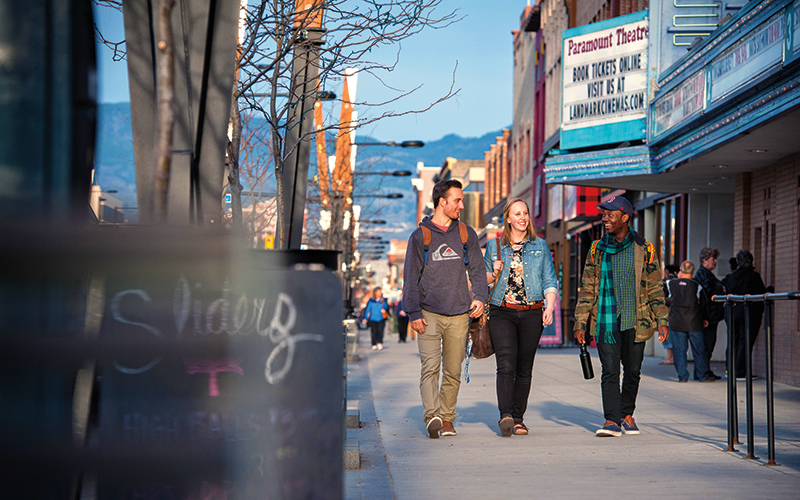 Living off campus is an exciting way to explore Kelowna’s growing community and establish your own favourite coffee shops and hiking spots. Many factors are at play when looking for housing, including transportation access, proximity to grocery and drug stores, parking, laundry, and of course cost. Many students choose to live in neighbourhoods such as Lake Country, Ellison, Glenmore, and Rutland, and often live with other students to save on rental costs. Wondering which area of the Kelowna community might suit you best? A great starting point is the campus housing listings in the Student Union offices located on the Lower Level of the University Centre. The University Centre is home to three social spaces specially designed for students who commute to University. These gathering places, or Collegia, have relaxing lounge-style furniture and are outfitted with spaces for individual and group work, kitchen facilities, and even a fireplace. Think about it as your home away from home where you can relax between classes, unwind with friends, or connect with your carpool before you head home. Find out about UBC's on-campus employers that provide well-paying jobs for Canadian and international students.